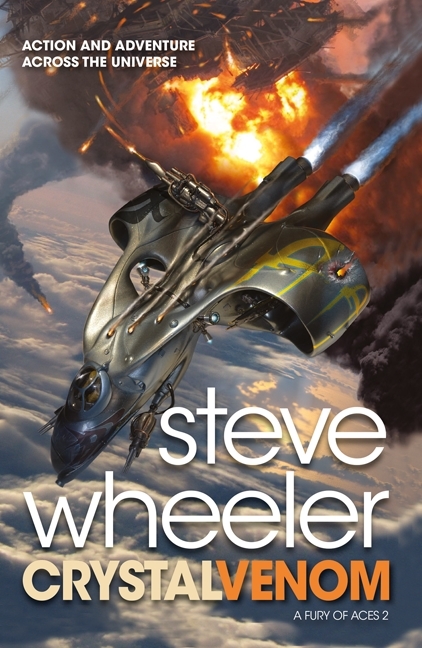 I’m a big fan of intelligent, innovative Space Opera, and I knew I had found something cool when I read Steve’s first ‘Aces’ novel, Burnt Ice. I’m pleased to say that Crystal Venom continues to deliver! The characters from Burnt Ice are back, and are thrust into even more danger and intrigue; the conspiracies and threats they went up against in the first book are revealed to be much more far-reaching, and Steve does a great job of not only dropping hints in every chapter but also in keeping the reader guessing as to who the ‘enemy’ is. 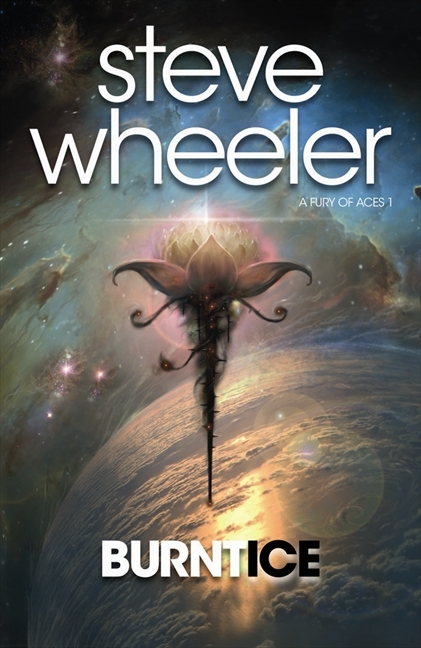 Marko, the principle character from Burnt Ice, is challenged and tested in this book, too – not only does he have to deal with the aftermath of what he and his fellow crew members went through prior to Crystal Venom, but also his growing stature within the group, being a ‘parent’, as well as being a ‘celebrity’ – Marko’s characterization is deeper in this book, which sets the scene nicely for the person he may or may not become in book 3, and his growth affects his fellow characters, as well as the other way round. There are plenty of surprises in this book, particularly concerning the paths of Marko’s friends and loved-ones. World-building-wise, Steve expands on the universe he introduced in Burnt Ice, but not too much – while there are organizations that are still shrouded in mystery and questions, much is revealed of others , letting the reader occupy a much better position from which to ‘place’ themselves in the tale and understand the different factions. And once again Steve makes all the tech as interesting and cool as in book 1, not only letting the tech service the story but taking the reader through the evolution of the tech as the characters do more with what they have. Order Burnt Ice from Amazon for your Kindle and in paperback.